Android is famously known for being a terribly fragmented platform because there are so many devices and so many different versions of the operating system. The fragmentation was made famous again recently when Apple’s Phil Schiller slammed Android devices, claiming that many of them run old software. Schiller may be right on a global scale and if we’re talking about multiple Android competitors. 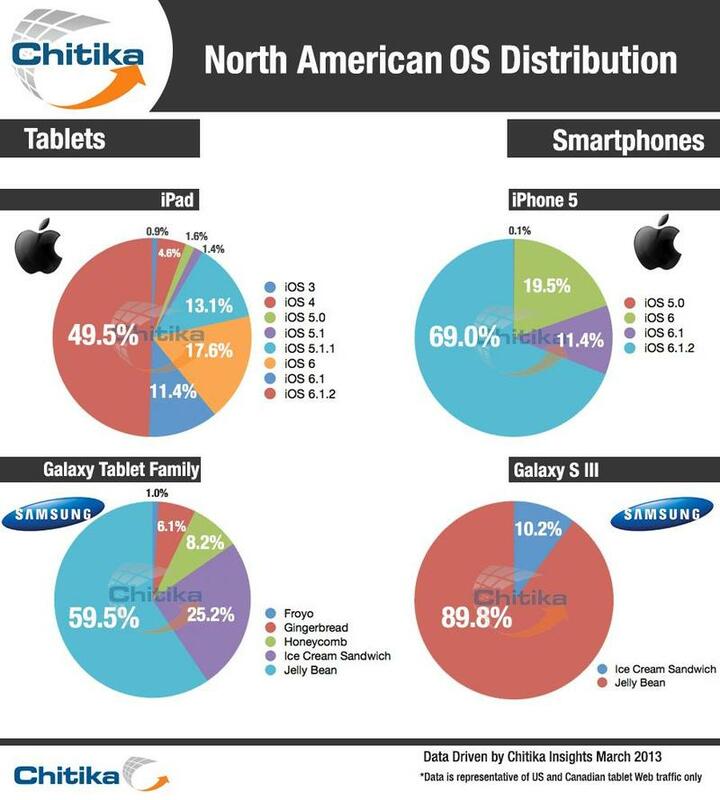 However, Chitika research recently compiled a report comparing Apple’s iOS fragmentation in North America against Samsung’s devices. The results are surprising. Chitika found that 49.5 percent of iPad owners are running iOS 6.1.2, the latest version of the operating system at the time of the report (Apple issued iOS 6.1.3 yesterday). 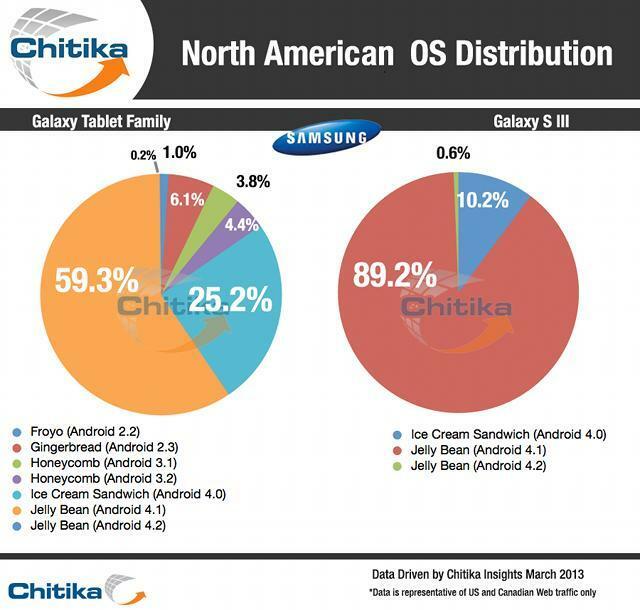 Meanwhile, 59.5 percent of Samsung’s Galaxy Tab tablets are running Android Jelly Bean. Chitika also found that 69 percent of iPhone 5 owners were running the latest version of iOS while 89.8 percent of Galaxy S III owners had Jelly Bean installed. There’s one glaring error in the report, however: just like iOS, Android has multiple versions per release, and Chitika didn’t break the versions of Jelly Bean down to the latest software issued. We’re absolutely certain the results would be different had it included Android Jelly Bean 4.1.2, Android Jelly Bean 4.2 and so forth. We also need to remember that this represents a few of Samsung’s tablets and a single phone, but the company sells dozens of smartphones in the U.S.